When thirteen year old Lacey sets out to start a summer job at her local library, it is not with the dragging of feet and longing for freedom that you might expect from your average teenager. Rather, Lacey is filled with excitement and a desparate hope that this job – and the one that she has lined up for her mother at a local grocery store – might be the start of something better for her family. Because Lacey's mother isn't doing so well and Lacey is starting to run out of options. Trapped in a house where the windows must remain closed and the lights remain on and the baths and sinks remain always full, Lacey is starting to fear for her own sanity. For as long as she can remember, Lacey has watched her mother's mental state spiral wildly out of control and now lives with a grown woman who lives life as directed by her father. Her dead father. Between a mother who is rapidly losing her grasp on reality, a Grand-daddy who doesn't act as dead as he should and an aunt who seems unable to help her, Lacey turns to the library in a bid for some normalcy. Yet, as the day progresses, memories and events unfold that illustrate just how far from normal Lacey's life has become. 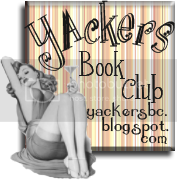 Lacey is compelling as a protagonist, particularly in the fact that she has very little frame of reference through which to view the outside world. It becomes increasingly clear, as she talks, that she spends most of her time locked in her mother's dark and frightening reality. While she attends school, she doesn't speak with the other children – all of whom have picked up on her differences early on and ostracised her from any meaningful social interaction. While she does mention the TV and Internet, it is only in relation to her mother's obsession with death and disaster and it is clear that Lacey has far too much to deal with at home to be even remotely interested in popular culture. This gives her persona, and particularly her turn of speech, an oddly old fashioned feel which is exasipated by the maturity that she has had to gain in order to deal with her situation. Yet, she isn't really dealing with the sitution – she's just getting by and teetering close to the dangerous abyss of her mother's mental decline. Momma herself is written starkly, her severance from reality absolutely clear to the reader from the start yet her personality is given depth through Linda's memories of their teenage years. However, Momma as she exists in Lacey's present day is a needy and dangerous personality, slowly draining her daughter's strength while also loving her desperately – loving her too much, really. Aunt Linda is a less defined character, mainly being conspicuous by her absence. While it is clear to the reader that Linda has tried to help Lacey, it is less so to Lacey and I felt myself siding with her more often than not – surely Linda could have tried harder, or sooner, to ensure that Lacey was managing? As the final character, Aaron provides a brief glimpse of sunshine in Lacey's fractured life. He clearly has vague knowledge that all is not well in Lacey's household and is also aware of her ostracism at school but disregards this in order to get to know her. Mainly, however, he highlights the juxtaposition of Lacey's day to day life and the normal, teenage world that she longs for. Lacey is at an age where she should be giggling with girlfriends and obsessing over her first kiss – not cleaning up her mother's self-inflicted wounds. I haven't read anything else by Carol Lynch Williams and wasn't sure what to expect from Miles From Ordinary. It is an extraordinarly brutal story – portraying severe mental illness and it's affect on a family with no frills, no niceties and leaving nothing to the imagination. From the opening lines the writing is blunt and too the point, as it should be. Mental illness is frightening, it can make even the sanest of carers question themselves and is debilitatingly draining for all involved. To see all of this through the eyes of a young girl, and to slowly realise that she is dealing with it alone is at times gut-wrenchingly difficult to read. However, Miles From Ordinary is also exceptionally compassionate. It is clear that Carol Lynch Williams cares deeply for her characters and it is impossible not to join her – throughout the book, I was desperate for someone to help Lacey, and not just to help her with her mother but to see that what was happening was not acceptable, was not right and was not necessary. Miles From Ordinary is by no means and easy book to read, but it is exceptionally brave writing and deserves to do extremely well. 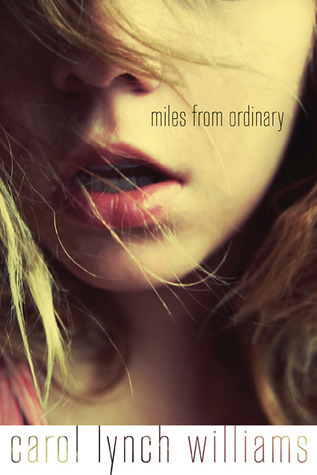 Miles From Ordinary is available now. Thank you to St. Martin's Griffin for sending me a copy of this title to review. wow ~ this sounds a little intense. I've read one of her books (erm, brain dead moment... the one where there' in a cult thingy) and I really liked her prose. It was very minimal but effective. I'm interested in this one. Intense is a really good word for it - I felt a bit drained when I finished. I agree about the cover, my copy was an ARC and I kind of thought they'd change it for the actual book as it's totally not representative of the character (who is pale with dark hair). Still, don't let it put you off picking this up as it's an interesting read. I haven't heard about this author before, but this does sound like an interesting novel. It's sometimes refreshing to read a book that is a more intense, gritty story and this sounds like it would be worth it. Absolutely fantastic review. I have this on my wishlist. Carol Lynch Williams seems to tackle very difficult subject matter so well. I read The Chosen One last year and although it really took me outside my comfort zone I am glad I did. 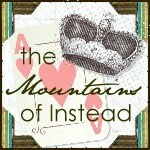 I think this book will be tha same but a dfinate must read.